Red Flag- Lack of a Birds Eye View of the Business- Act! Working too much IN the business and need to work ON the business? Have you ever wished for a "bird's eye view" into key areas of your business? To perpetuate a successful business, you need access to high-level information that consolidates related data. This type of business intelligence allows you to identify trends, lets you see the consistency of day-to-day operations from a distance, and makes it easy to isolate subsets of data that require separate analysis. As a result, you learn how to reproduce positive results and quickly end negative patterns. 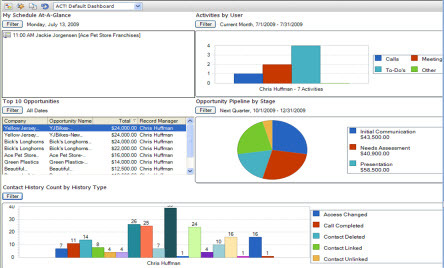 Contact management and CRM (Customer Relationship management) solutions give you insight into key areas of your business by providing dashboards and standard reports, including Call lists, Activity Summaries, Referral Source, and Sales Summaries. You can also use built in Report Designer to create custom reports that summarize and analyze your data according to your specific needs. For added flexibility, you can export standard and custom reports to Microsoft Excel(r), HTML, PDF, or e-mail. Related articles on Executive Management Dashboards and Reporting. Read about other results gained and success with CRM. Find other red flags that point to a need for contact and customer management. Interested in taking the next step? Sign up for a free CRM readiness assessment consultation, here or free CRM optimization offer. 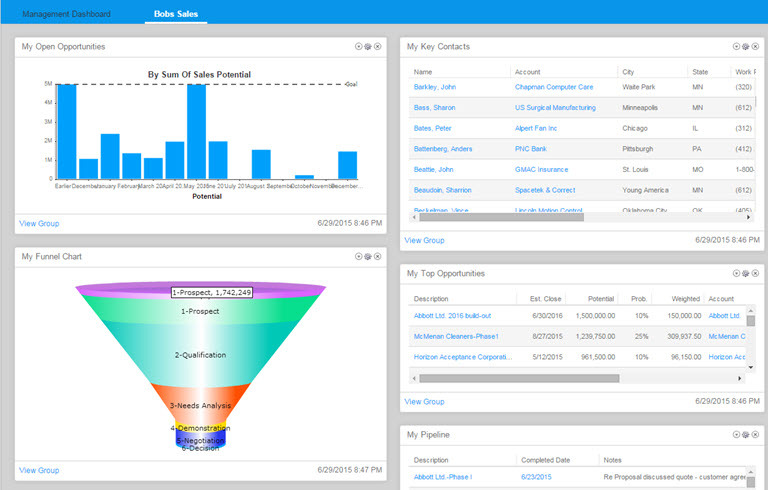 What is your favorite tool for analyzing your business on a day to day basis?